Some new and exciting things this week! Not only did Adam and I purchase a new mattress, but I also joined a gym! It has been a while since I have had an actual gym membership; over two years at this point. In graduate school I had access to the college gym, but I was so busy I was unable to take full advantage of it. So here it goes! I am back at a gym, and not just any gym; it is one with a competition sized pool! While I am looking forward to having the weight room and access to treadmills, I am most excited to get back to swimming! So with this new access to swimming it also has me thinking that I would like to complete another triathlon. I have started to look at a few for this spring and I have one in mind, but I have yet to commit. I have had a hard time getting back to the same level of training I was at prior to graduate school. 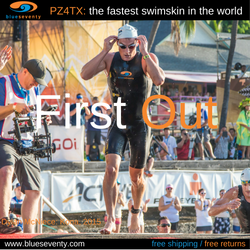 So I am going to try started back to where I started; in a sprint triathlon and then build upon those baseline blocks. Training harder also means another thing; you have to take that recovery game up a notch. And what better way to recover then on an amazing new mattress! Adam and I knew that was wanted a new mattress. We have been sleeping on my old mattress that is lumpy, uncomfortable and we both struggle with mild back pain. So after months of researching and discussion we decided on the Bear Mattress! And after sleeping on it for over a week we can both agree that choosing a Bear Mattress was the perfect decision! The Beard Mattress is the perfect combination of soft, but also firm. This allows for the perfect support of sore aching muscles after a strenuous workout. Another thing I love about this mattress is that it does not sleep hot! I have found most memory foam type mattresses to feel too hot at night; particularly after a vigorous workout when your legs feel like mini heaters. But, with the Bear I feel like I can stay a perfect temperature all night long. Overall, I would say I am excited for this next race season. I am hoping to do a couple more races this year that I didn’t get a chance to do last year because I was so busy. And my big goal this fall is to run in my first marathon. This is something I am so nervous, but oh so excited about!